Visited University of Leeds and gave a series of lecture on Indian writing in English. His book “Indian writing in English” is the Bible for the students and teachers alike. He was awarded ‘Padmashree’ by Government of India. Eminent Teacher and a scholar in French literature too. 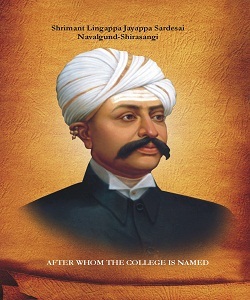 Eminent Teacher and a famous Kannada writer. Later he pursued his teaching career in U.S. A. Well versed in both English and French language and literature, reflective by nature. Eminent Teacher. Loved the profession and enjoyed diving to the depths of the things that he taught. Eminent teacher and did his Ph. D on Romantic poetry and worked as the Principal of the college. Passed PG English from Lingaraj College. Passed PG English from Lingaraj College, later appointed to PU College, Bangalore. "Tomorrow to fresh Woods and Pastures New"
Through the right and proper interpretation of and insight into the literary works, create an awareness of life as a whole; thereby enable the students to shape their lives, make it meaningful and also useful to the society at large. Devise different means to make the students realize the depths of language and its usage. Develop skills in effective writing. Create opportunities to develop inherent creativity. Inculcate critical approach and attitude. Comparative study of Indian and western literature. Exposure to mass media - Profiles, advertisements, report writing, preparing headlines etc. Nuances of language - Phonetics; stress; sounds of English. Exposure to variety of culture and prevailing issues in India/World through various Indian and foreign writings. Creating confidence in the usage of language amongst the students coming from vernacular medium. Docx/CV Sarika.docx Docx/CV Sudha.docx Docx/CV Sudhir.docx 1. HOD English Degree College Byadagi Dist:Haveri.